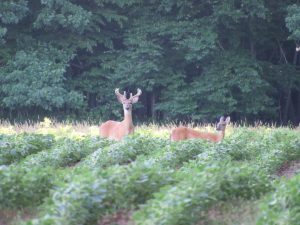 Of course these two are munching in our soybean field, yet we love to see them. We allow them to eat beans though they may be hunted in the fall…not by us. We prefer hunting with my camera.